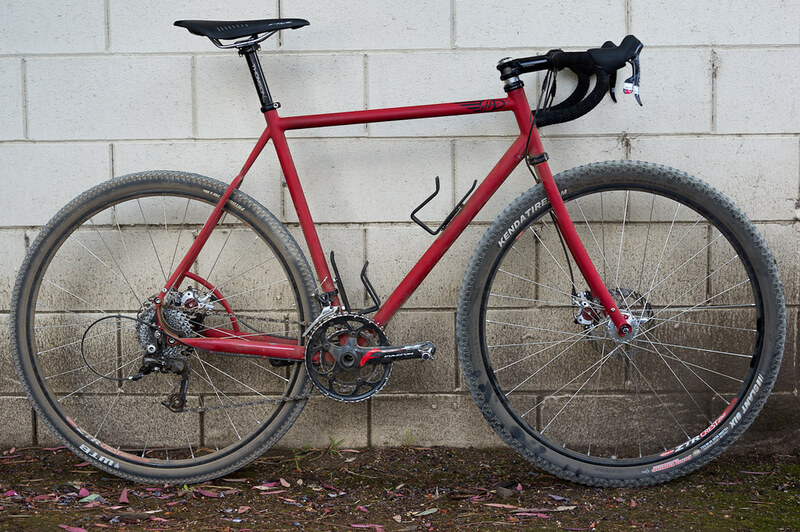 For cyclocross racing, I love the Redline Conquest Carbon, but I can’t help but wonder about a bike with big, fatty tyres as well as disc brakes. 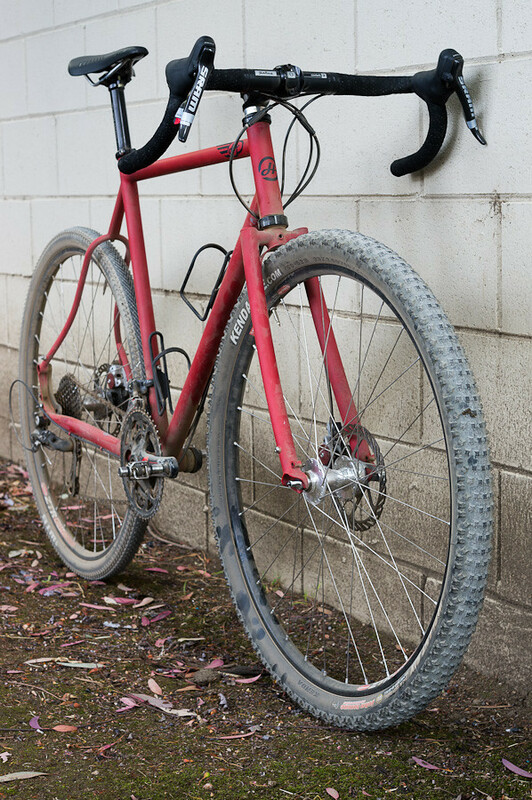 Now the Redline can easily accept disc brakes (well, on the rear…you’d need to swap the fork for one with disc mounts), but that bike is focused on UCI-legal racing, meaning optimized for tyres 33mm or less. I want to run full-stop 29er tyres. Of course, I’m not the first to have this idea; just look at this cool “monster cross” bike from Hunter Cycles. 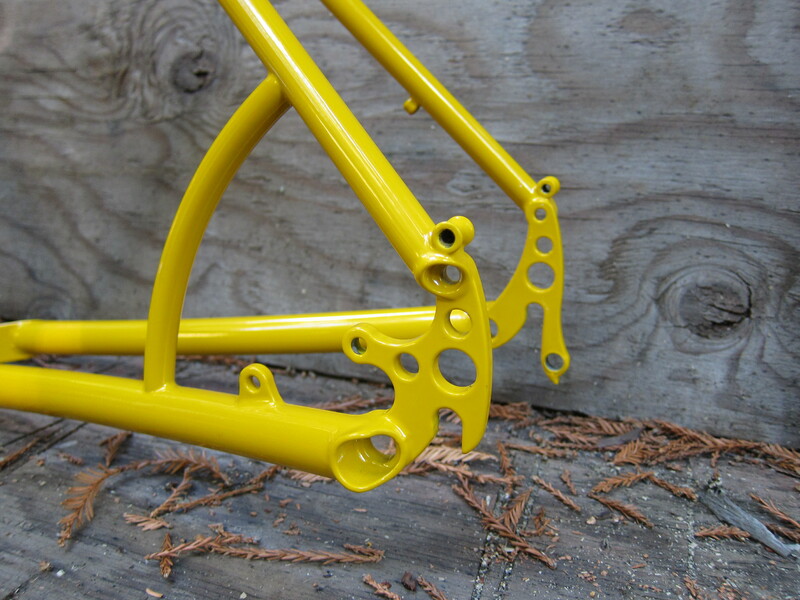 Hunter uses some dropouts that are really elegant in an industrial, almost steampunk aesthetic. And the “supercrown” fork is fantastic as well. 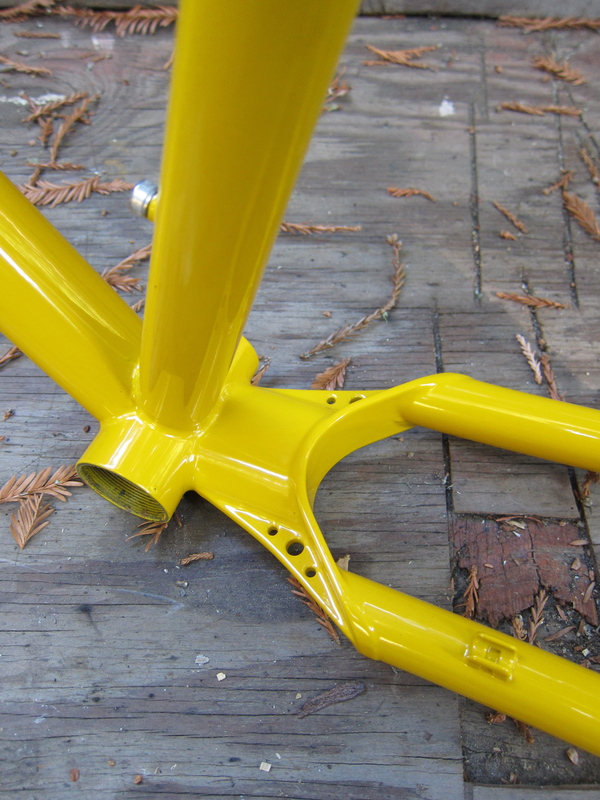 The next two photos of a yellow 29er show the dropout aesthetic a little better, plus a stylish yoked chainstay.